JOIN US JUNE 17th, 2019 FOR OUR 8th ANNUAL JOY OF GIVING GOLF TOURNAMENT AND HIT A HOLE IN ONE FOR KIDS! 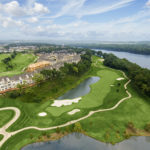 Join us June 17th, 2019 at River Creek Club as Touching Heart brings together the area’s top executives for a day of golf for a great cause, our Joy of Giving Golf Tournament. The day includes breakfast, lunch and dinner, a full day of golf at one of the area’s premier courses, amazing swag bags and unique auction items, fun activities at each hole, the opportunity to promote your organization, and most importantly, the chance to make a difference in the lives of children. This event sells out early so contact us early to reserve your spot today! Our annual golf tournament and our generous golf sponsors fund Touching Heart programs for an entire year! Our programs inspire children to be compassionate and loving leaders. Since our founding in 2010, Touching Heart’s programs have enabled children to realize that they can make a difference in the world. Our signature program, Kids on a Mission, gives children of all ages the opportunity to plan and implement a fundraiser of their choice, benefitting a cause they select. Our Schools on a Mission after school program, gives even more children the opportunity to take action to help others, while learning about the importance of compassion and giving. By participating in our golf tournament or becoming a sponsor, you are making these programs possible and helping us realize our mission of inspiring kids to have giving hearts! This is just the beginning of what we can accomplish – one child, one heart at a time. If you can’t make it to golf, but would like to join us for our dinner reception, you can purchase tickets for $100! Please join us for good food, good fun and lots of inspiration! Submitting will forward you to our paypal page in a new browser window/tab. Please make your payment there. Ticket prices are $100.00 each. Please be sure that you are not blocking popup windows. Want to see your company featured here? Our sponsors make Touching Heart programs possible! Be a part of the golfing fun June 17th, 2019 at River Creek Club and make a difference! Please contact info@touchingheart.com for more information! Your sponsorship does so much – first, it funds our Kids on a Mission, Schools on a Mission and Art of Giving programs that help children learn about the joy of giving back. Second, your donation multiplies in value as these children complete service projects and raise funds to provide basic necessities for children in local foster care, in local homeless shelters, and in carefully screened orphanages worldwide. 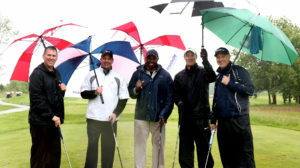 Join us for our 8th Annual Joy of Giving Golf Tournament June 17th, 2019 at River Creek Country Club and make a difference for kids! Please email info@touchingheart.com for more info. Check out our sponsor brochure here! 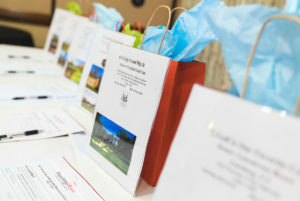 One of the things Touching Heart’s Joy of Giving Golf Tournament is known for is our amazing auction! From signed sports memorabilia, to jewelry, winery outings, exclusive golf foursomes and vacations…we offer an amazing array of auction items with something for everyone! The best part is that your auction purchase will make a difference for kids! Check back here for more information about our upcoming 8th Annual Joy of Giving Golf Tournament auction. If you would like to be a part of our auction committee, email info@touchingheart.com to join the fun! Our Annual Joy of Giving Golf Tournament truly would not be possible without the hard work and dedication of our volunteers and our amazing golf committee. The joy and heart they put into their efforts really shines at the tournament. Join us to get involved and help plan this highly anticipated event! Make a difference and have a ton of fun while doing it! Email info@touchingheart.com for more information. For more information about the tournament, sponsorship or Touching Heart programs, please email info@touchingheart.com.